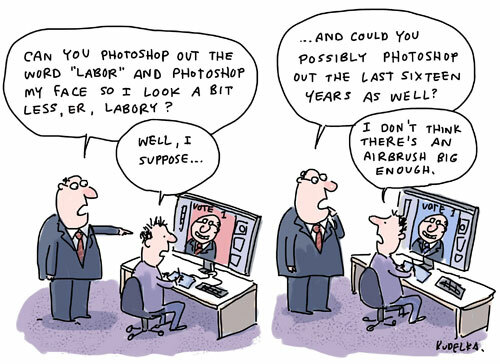 Labor? Who is this Labor of which you speak? A lesson they learned from Tasmania’s election last year? Wonder if it’ll end in the same result. What makes it particularly poignant is that he couldn’t have advertised the connection more effectively if he’d tried. Yeah, it’s like China censoring the word Egypt. Net result: Chinese people asking why the word was censored. Wally, I think Bryan’s been kept away from all writing materials to ensure he doesn’t accidentally sign something he shouldn’t. Wouldn’t want to make the same mistake twice!